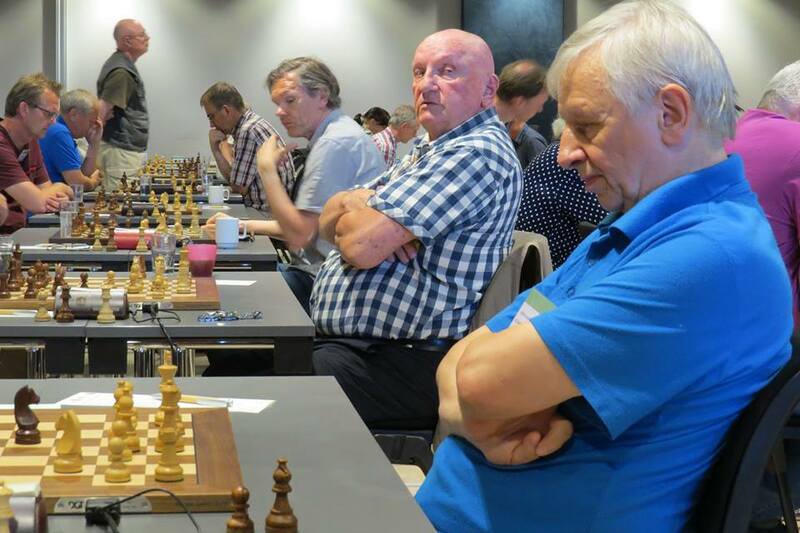 Three rounds have been already played at the European Senior Chess Championship 2018 which takes place from 3rd-13th August in Drammen, Norway, with participation of 129 players from 18 European federations. 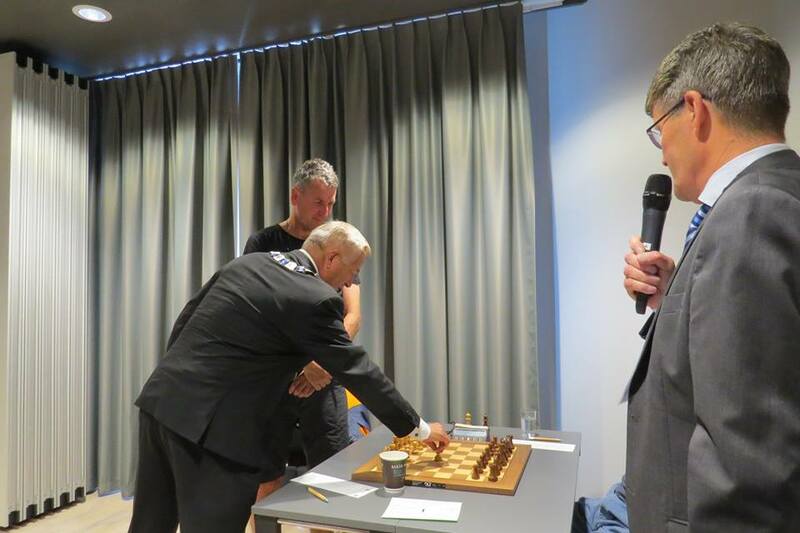 The Championship has been declared open at the Opening Ceremony which took place shortly before the 1st round of the event. 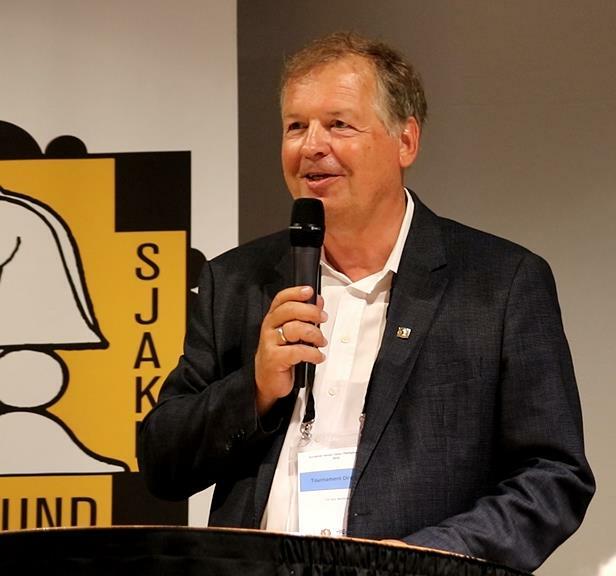 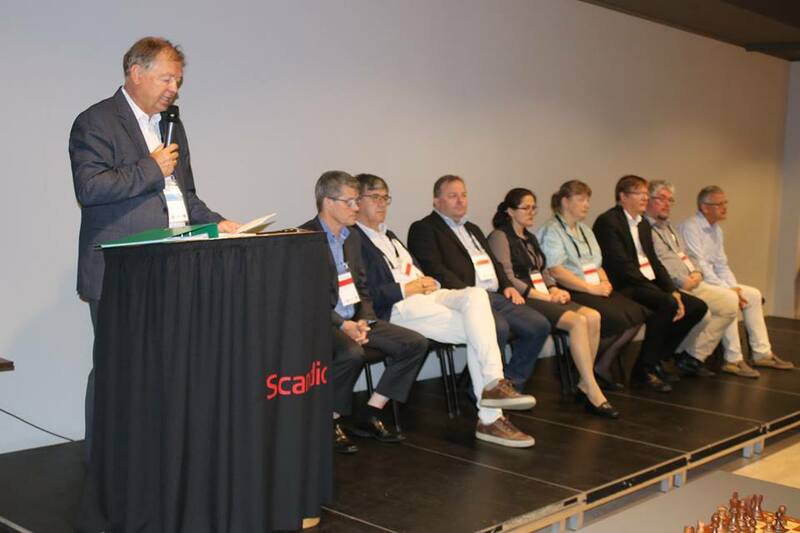 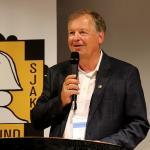 The ceremony was attended by Drammen Mayor, Tom Opdal Hansen, Tournament Director Geir Nesheim, baroque violinist Ingrid Okland and Chief Arbiter Karl-Johan Rist. 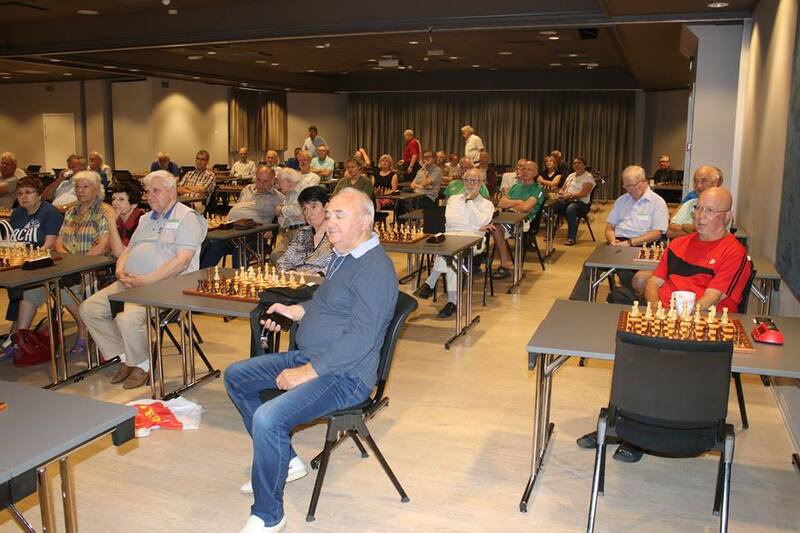 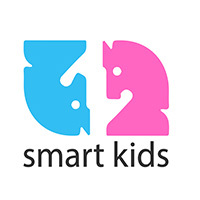 The event is played in two age categories (open and women section separately): 50+ and 65+. 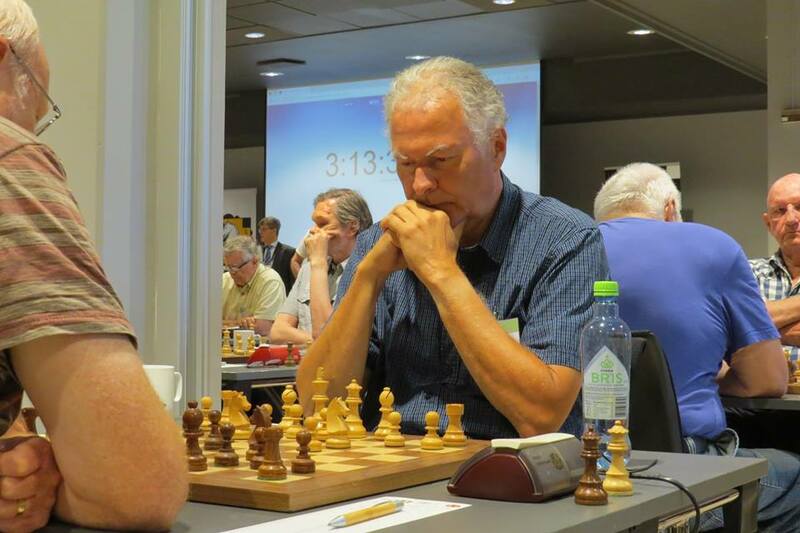 After 3 played rounds, in category 50+, GM Simen Agdestein (NOR, 2576) emerged as the sole leader of the event with maximum result of 3 points. 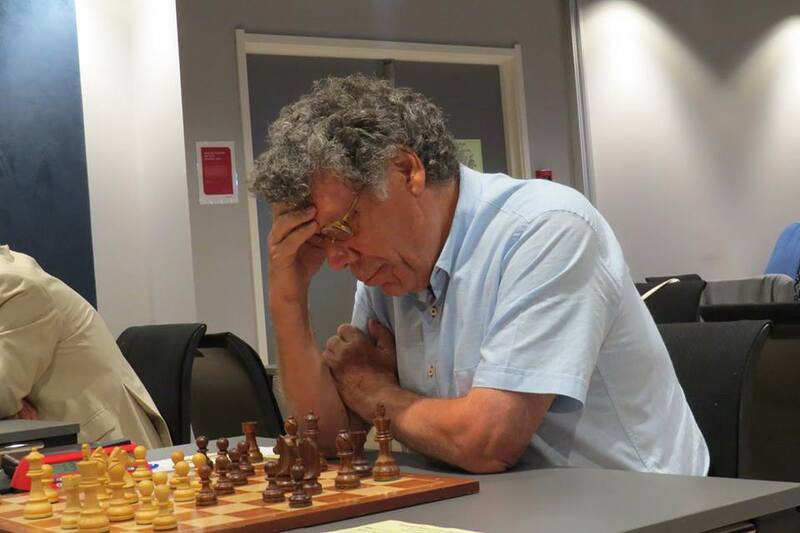 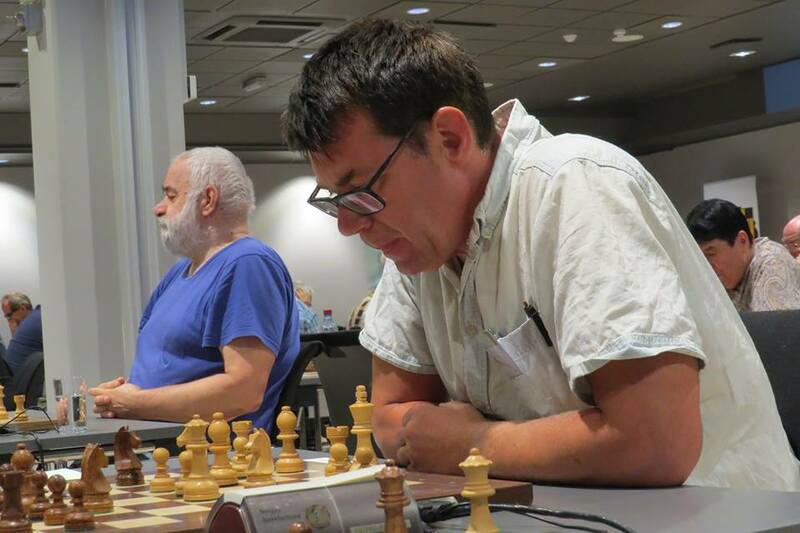 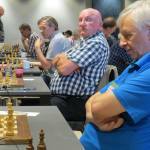 There is 6 players behind him who tie for the second place and score of 2.5 points, each: Gray M Clark (ENG, 2285), Peter M Gayson (ENG, 2150), FM Richard Bjerke (NOR, 2141), Thore Nyboe Jensen (NOR, 2083), Lars Blomstrom (SWE, 2167) and Conny Hoist (SWE, 2147). 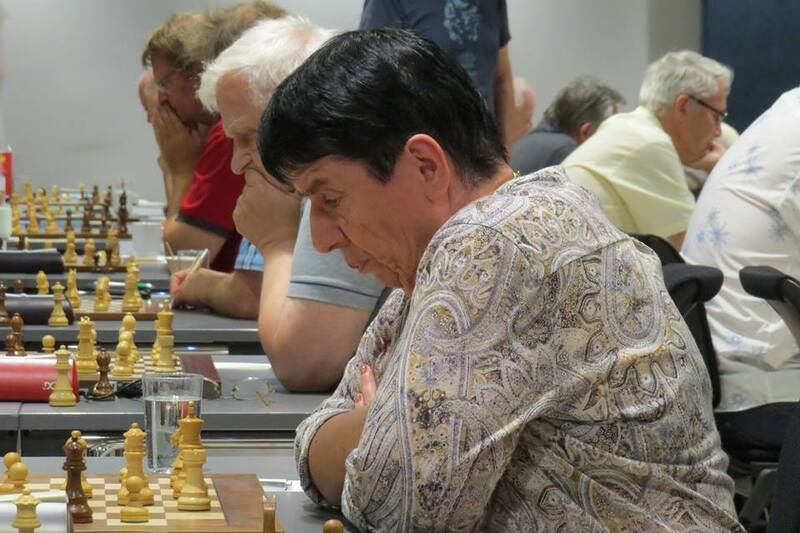 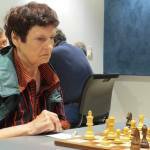 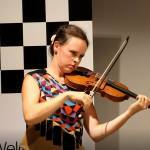 Nine women players compete in Women section 50+ in 8 rounds robin round system. 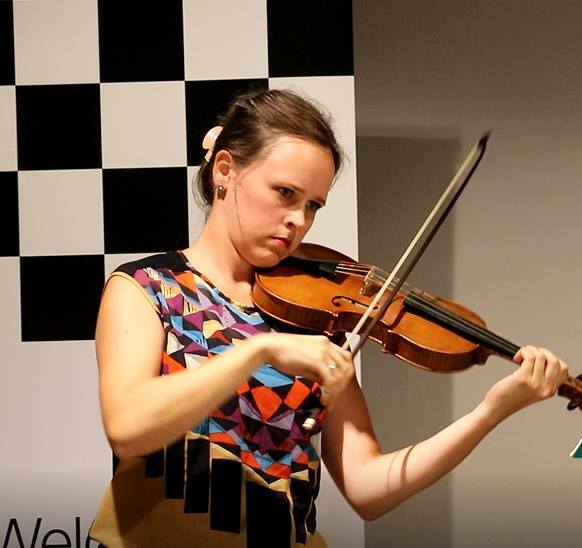 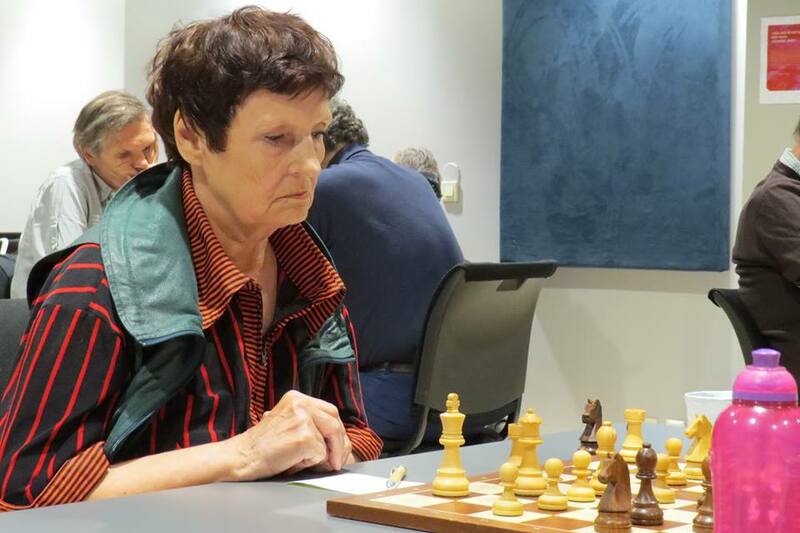 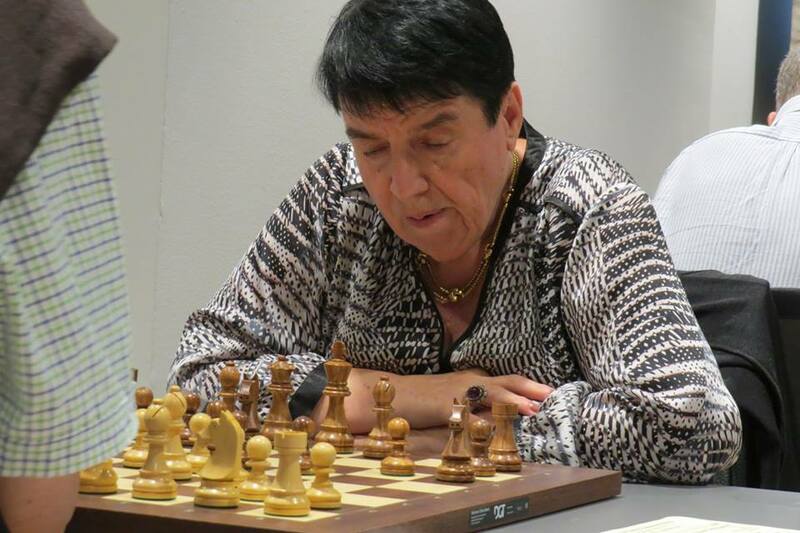 WIM Brigitte Burchardt (GER, 2189) leads with perfect score and 3 points, while WFM Sylvia Johnsen (NOR, 1977) is currently second with 2.5 points and WFM Olga Birkholz is on the third place with 2 points. 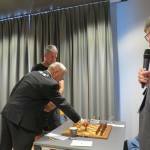 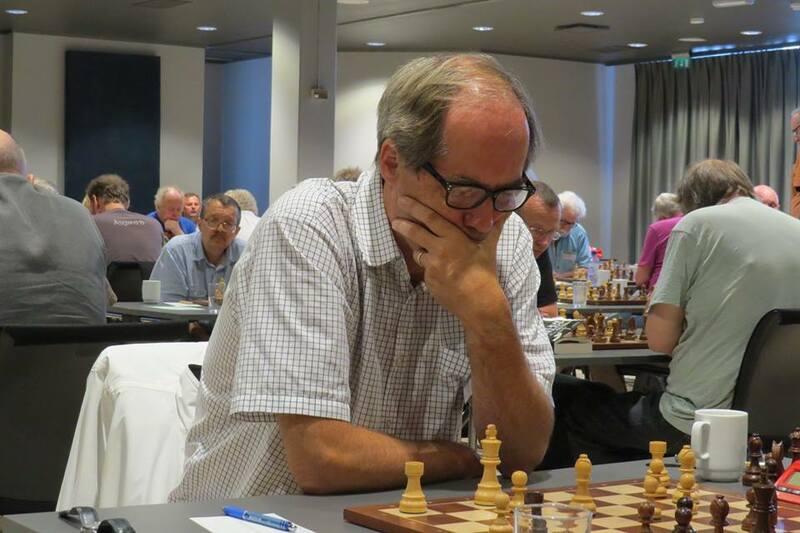 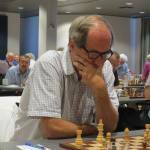 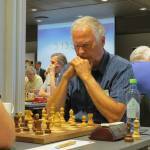 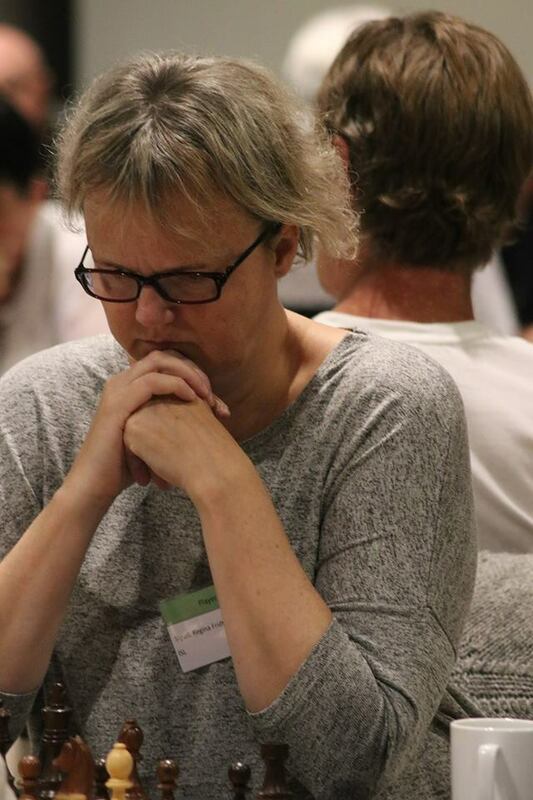 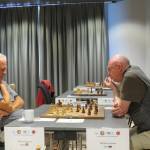 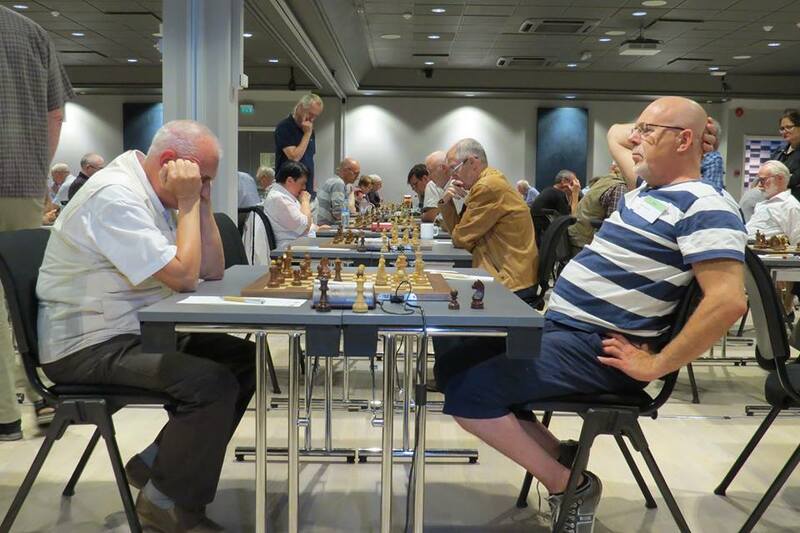 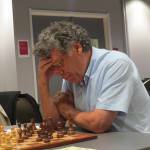 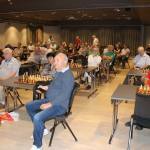 GM Leif Ogaard (NOR, 2386) is the sole leader of section 65+ as the only one with score of 3 points. 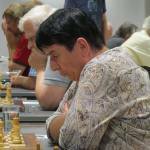 He is followed by 11 players who tie for the second place with 2.5 points, each. 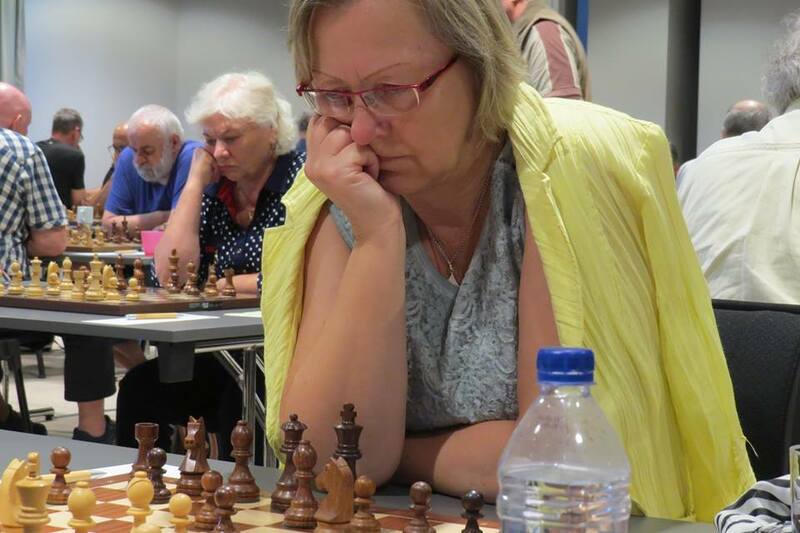 Women section 65+ is merged with an open section, and among the group of 11 players who tie for the second place is Nona Gaprindashvili, currently with the best performance of women players who participate the event. 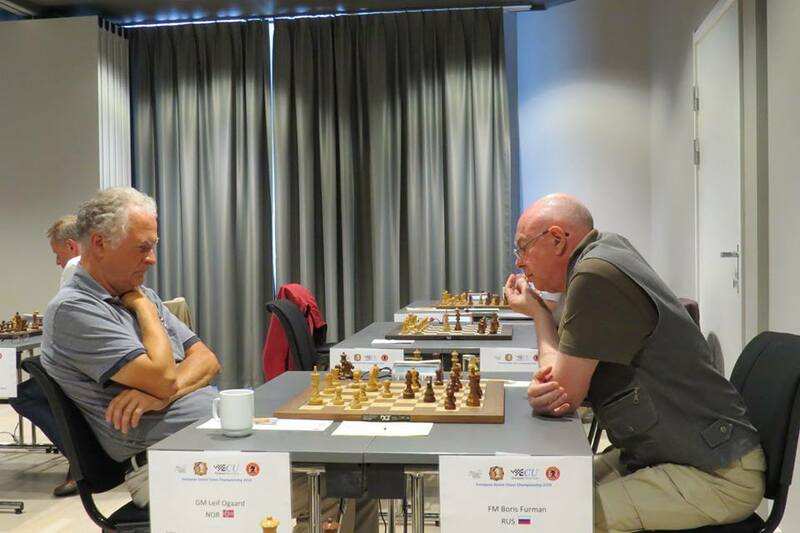 The 4th round of the European Senior Chess Championship 2018 starts today at 15:00 (local time) and the live broadcast of top boards can be followed through the official website of the championship or here.